시안, 중국의 자노스 백팩커스 | 호스텔월드에서 예약하세요. No refunds if notified less than 1 week prior to arrival. Full refund less 10% desposit if notified 8 days or more before arrival. Security deposit of RMB100 per person. A small and friendly family-run hostel conveniently located in the CBD. 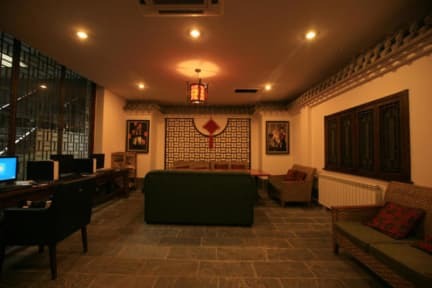 This hostel is new and clean with drinks provided in the hostel's own bar (The Belgian Bar) which is popular with locals and travellers. Downstairs are the dorm rooms, while upstairs surrounding a traditional open courtyard are the ensuites and family rooms. 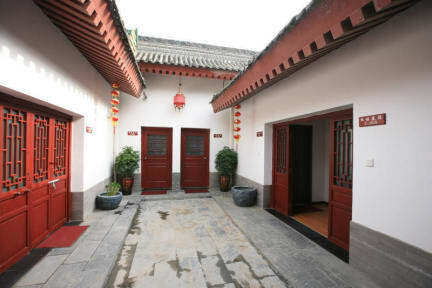 Decoration is in traditional Chinese village style and includes antiques and original artworks. 주변에 술집이 많아서 숙소 가는 길이 조금 무서웠던것 말고는 괜찮았다. 술 마시라고 호객 행위가 많았다. 숙소는 남자 여자 화장실 나누어 있고, 모기향도 엄청 많이 피워놓아서 모기한테 물리지도 않았다. 다른 숙소에서는 모기향도 피우지 않아서 잠도 못잤다. 이곳은 샤워하는 곳이며, 화장실이며 깨끗하고, 세탁기도 사용할 수 있어서 굉장히 편리하고 좋았다. 나는 여행 중엔 먹는거 노는거 등 돈을 아끼지 않는데, 이상하게 잠 자는 곳은 안전하기만 하면 되기 떄문에 숙소는 저렴한 곳에서 묵는다. 이곳은 저렴하고 안전하기도 하고 화장실 샤워실 깨끗하기 떄문에 다음에 또 시안에 간다면 이곳에서 묶고 싶다.